The State Department on Monday said it would not be distributing a transcript or list of attendees from a briefing call with Secretary of State Mike Pompeo held that evening -- a call from which the department's press corps was excluded and only "faith-based media" allowed. The afternoon phone briefing was to discuss "international religious freedom" with the secretary -- who rarely participates in such calls -- ahead of his trip to the Middle East. One member of the State Department press corps was invited, only to be un-invited after RSVPing. That reporter was told that the call was for "faith-based media only." CNN also RSVP'd to organizers, asking to be included, but received no reply. Despite repeated inquires and complaints from members of the press corps who are based at the department, the State Department on Monday night said they would not be providing a transcript of the call, a list of faith-based media outlets who were allowed to participate or the criteria to be invited. Officials would not answer questions about whether a range of faiths was included. 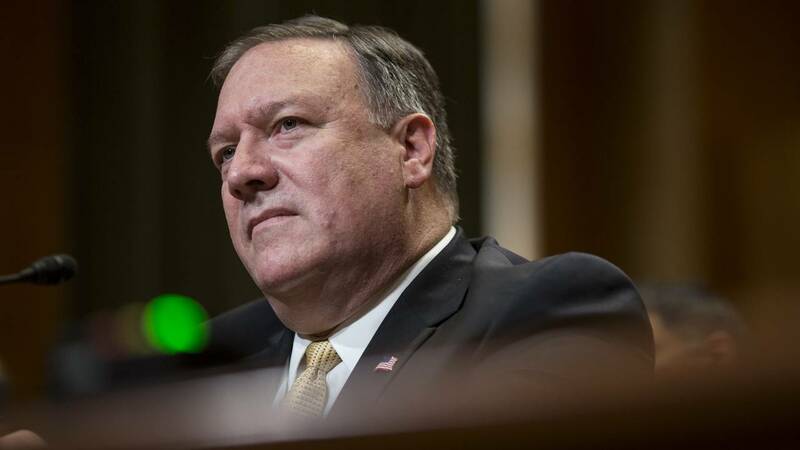 A reporter with EWTN Global Catholic Television told CNN they were not originally invited to take part in Monday's call with Pompeo but had asked the State Department if they could take part. The reporter was then invited to a different call involving faith-based organizations and Ambassador-at-Large for International Religious Freedom Sam Brownback that took place Tuesday and was organized by an outside group. An article from Religion News Service -- which notes that it "is not a faith-based media organization, but rather a secular news service that covers religion, spirituality and ethics" -- said participants in the Pompeo briefing "were not told that the call was limited to faith-based media." "While it was not clear which outlets were part of the call, questions were asked by Religion News Service, Jewish Telegraphic Agency, Algemeiner, World Magazine and The Leaven, the newspaper of the Roman Catholic Archdiocese of Kansas City in Kansas. America Magazine also participated in the call," according to RNS. On Tuesday evening, one of the participants shared a transcript of the call with the press corps. That transcript showed that Pompeo faced questions about the Israeli election, terrorism and the omission of the word "occupied" when describing the Golan Heights and the West Bank. Pompeo did take part in an on-the-record briefing with the traveling press en route to the Middle East, where he was asked similar questions and provided similar responses. The State Department told the press traveling with Pompeo that the department does not release transcripts for print roundtables. However, they typically release transcripts for all of the secretary's public press engagements. Former State Department spokesperson John Kirby, who is a CNN Global Affairs analyst, said "it is typical practice that any on the record interview in which a Cabinet official participates is transcribed and published at the earliest appropriate opportunity." "These officials are public servants. What they say — in its entirety — is inherently of public interest. It's inappropriate and irresponsible not to observe that obligation," he told CNN. Kirby said he has "certainly seen times when particular journalists or columnists have been targeted for inclusion on given topics." However, "to exclude beat reporters from something as universally relevant as religious freedom in the Middle East strikes me as not only self-defeating but incredibly small-minded," he said. "It's perfectly fine to ensure faith-based media have a seat at such a table. But it's PR malpractice to cut off access to the broader press corps. I wish I could say I expected more from this crowd," Kirby said. A State Department spokesperson said in a statement that some press engagements -- "Department press briefings, teleconferences on a myriad of policy issues, briefings and sprays by the Secretary of State and other officials— are open to any interested domestic or international press." "Other engagements are more targeted or designed for topic, region, or audience-specific media. This has always been the case," they said. CORRECTION: This story has been corrected to show that the EWTN reporter was not invited to Monday's call with Pompeo but to Tuesday's call with Brownback.